Our inspections and reports cover all client types, from everyday home sellers and buyers to property investors, commercial clients, body corporates and property managers. We offer a high quality service to all our customers. Our chief inspector has over 36 years experience in the building and construction industry. 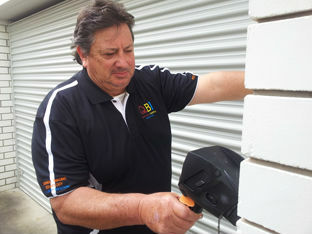 He is a State Multi Award Winning registered builder, a licensed inspector – both building and pool and is certified in thermal imaging and asbestos. Thermal imaging is used with our inspections to detect all possible damage that cannot normally be seen. The average rectification bill for moisture or white ant damage is around $4500-. Don’t expose your family to ongoing chemicals or the cost of structural damage. The average cost of a pre-purchase property inspection is under $500-. Your property will be inspected in great detail utilizing professional technical equipment and your report being produced using industry comprehensive reporting software. QBI and its team is committed to providing you with an independent and informative report you can trust.